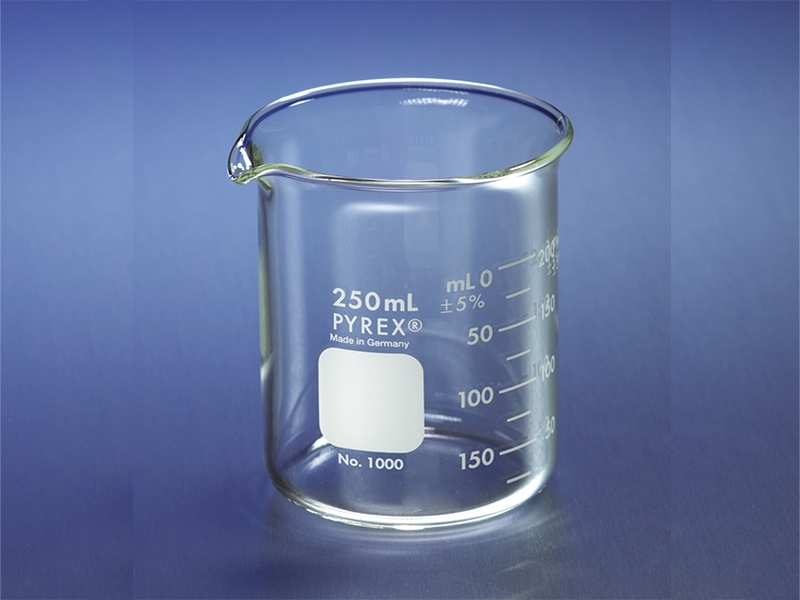 PYREX® Low Form Graduated Griffin Beakers with spout are manufactured with uniform wall thickness, offers optimum balance between thermal shock resistance and mechanical strength. For convenience, the 250 through 4,000ml beakers have a double graduated metric scale to indicate approximate content. All sizes have an extra large marking spot. The 10ml is not graduated. Reference: ASTM E-960 type I, low form with spout. PYREX® beaker model number 1000. A convenience pack containing one each of the most popular sizes of PYREX® Low Form beakers is also available. Designed for the low volume user, a case contains one each of fives sizes: 50ml, 100ml, 250ml, 600ml and 1,000ml. Packaged in a partitioned carton for safe transit and storage. See item # AKM-2500-0041.